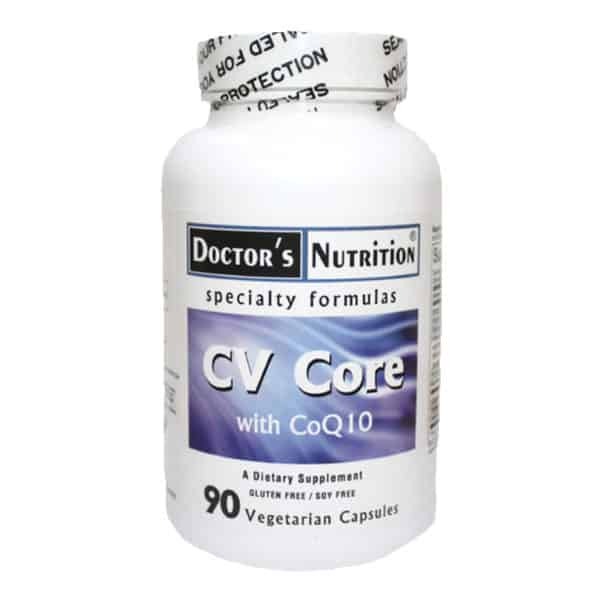 CV Core with CoQ10 is a vegetarian, gluten free and soy free dietary supplement to support cardio health, normal homocysteine levels and vessel health. This formula provides a comprehensive cardiovascular strategy by providing nutrients to support healthy cardiac tissue, vascular integrity, and homocysteine levels, while also providing nutrient replenishment to those patients taking cardiovascular medications. Three main factors should be considered when choosing how to supplement for cardiovascular support: homocysteine, blood pressure and cholesterol. Certain, foundational nutrients are necessary for optimal cardiac and vessel function. Coenzyme Q10, magnesium and B12 are considered highly beneficial for normal heart health. Each of these nutrients have their own important supportive functions. First, CoQ10 is highest in concentration in organs that demand energy, such as the heart muscle, because it participates in the generation of ATP. 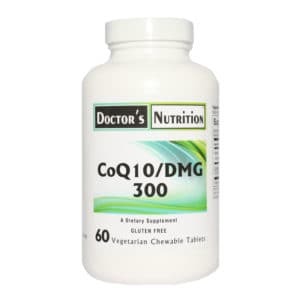 There is strong scientific evidence that a deficiency of CoQ10, which is made naturally in the body, can cause symptoms such as heart failure, high blood pressure and chest pain (“Coenzyme Q10 evidence – Mayo Clinic,” 2015). Coenzyme Q10 is also known to be depleted by traditional CV medications like statins. Write Mortensen et. al, “Although HMG-CoA reductase inhibitors are safe and effective within a limited time horizon, continued vigilance of a possible adverse consequence from coenzyme Q10 lowering seems important during long-term therapy” (Mortensen, Leth, Agner, & Rohde, 1997). 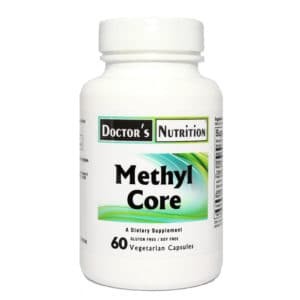 B12 is essential for heart health because it functions as a cofactor for methionine synthase, which catalyzes the homocysteine-to-methionine conversion (“Dietary supplement fact sheet: vitamin B12 — health professional fact sheet,” 2011). When B12 is insufficient, homocysteine levels can rise due to inadequate methionine synthase function (Clarke et. al, 2014). • Nattokinase is renowned for its supportive abilities as a fibrinolytic enzyme. In fact, oral administration has been proven to enhancement of fibrinolytic activity in the plasma (Sumi, Hamada, Nakanishi, & Hiratani, 1990). Nattokinase also supports normal platelet aggregation by blocking thromboxane formation (Jang et. al, 2013). Supplementation may even suppress intimal thickening (Suzuki et al., 2003). Other ingredients: hypromellose (caspule), microcrystalline cellulose, vegetarian leucine. Warning: Vitamin K2 may counteract the effects of anticoagulation therapy, and therefore is not recommended for patients on blood-thinning medications. Caution: Discontinue use 2 weeks prior to surgery. Suggested Use: As a dietary supplement, take 3 capsules daily, or as directed by your healthcare practitioner. Canada. US Patent Number: 8,354,129; Canada Patent Number: 2,347,387. Mecobalactive™ is a trademark of INTERQUIM, S.A.